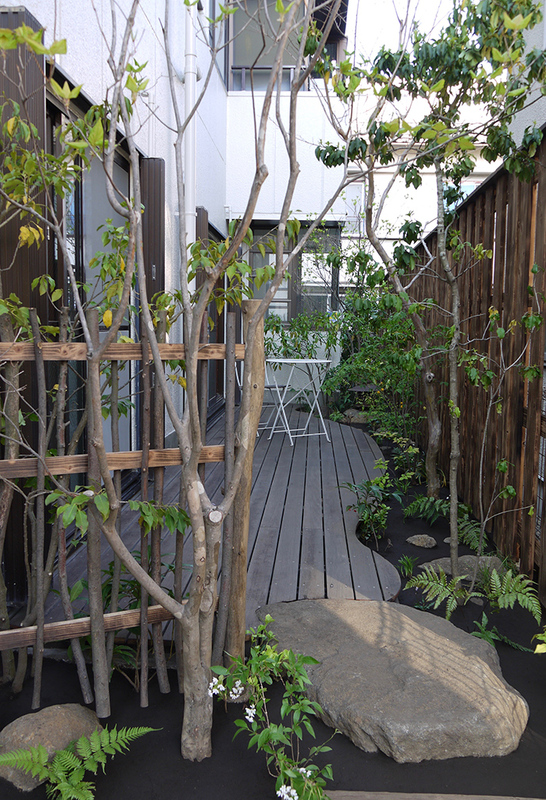 □The purpose of the re-making garden was hiding the neighbor's sight and planting greens because this commity space is set up as new one in this area(this building used to be a office). 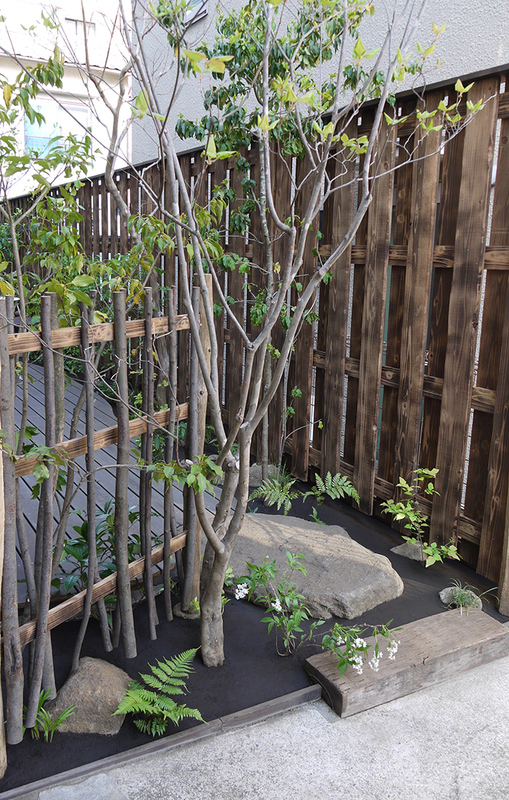 The client likes trees in the mountain and he wants every visitors to feel greens closer. 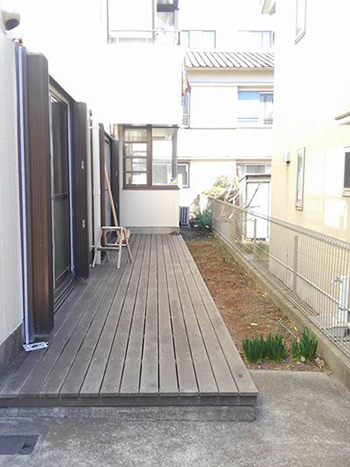 And this space is rental office as well.The deck is used by staff for taking a break. materials：diorite , used sleeper , iron lantern , etc. 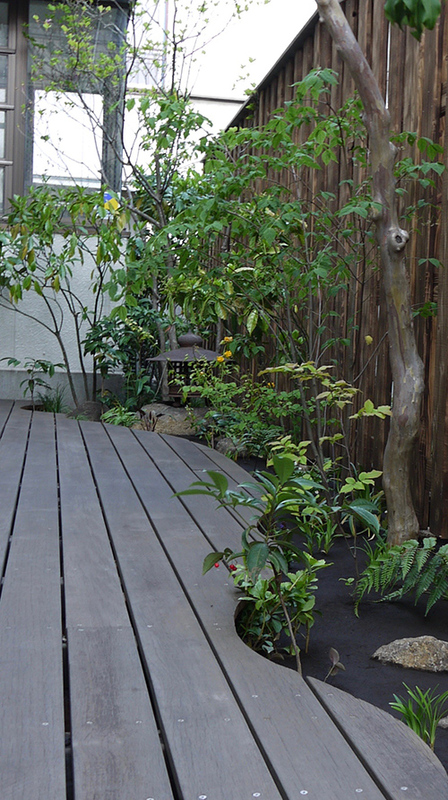 plants：Lagerstoemia indica , Rhododendron dilatatum , Ilex pedunculosa , Euonymus oxyphyllus , Aucuba japonica , etc.